Mike Randerson, vice president for Adult Higher Education, and Mike Kateman, executive director of Development, Alumni and Public Relations, visited Capitol Hill in Washington, D.C. to work on federal legislative relations. The two met with several legislative staffers in an effort to share Columbia College’s belief that while the current college scorecard is a good one, there should be a complementary scorecard created that is mindful of adult learners. 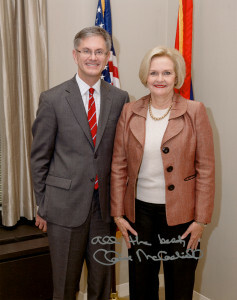 They had coffee with Sen. Claire McCaskill, who told a story about her son, who has been in and out of college before returning as an adult learner. Randerson asked McCaskill if she knew that her son would not be counted in national graduation rates under the current scorecard, which piqued her interest on our mission to create an alternate scorecard. 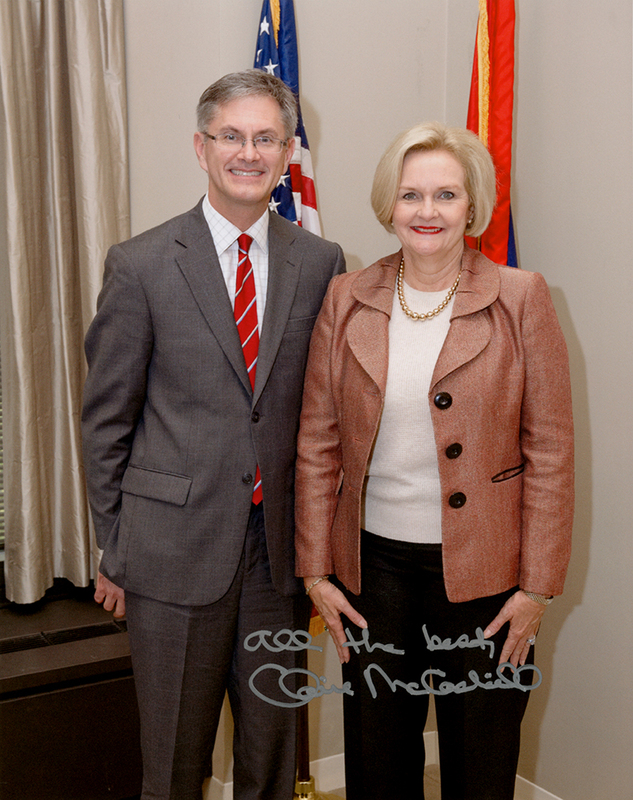 McCaskill’s grandmother is a Christian College alumna. Affinity, the college’s alumni magazine, won two awards in the MarCom Awards 2013 competition. The magazine received a gold award in the magazine/educational institutional category, and it won a platinum award in the writing/feature article category for the articles on Dr. and Mrs. Brouder. The results of the 2013 AHE Halloween Costume Contest winners are in! In first place is Columbia College-Fort Worth, who dressed up as Peter Pan and crew; in second place is Columbia College-Springfield, who dressed up as paper dolls; and in third place is Columbia College-Lake County, who dressed up as a group of cowgirls – and one cowboy, too! Corey Gasparini, administrative assistant at Columbia College-Hancock Field, won most original for her Woody from Toy Story costume. Check out photos on the CougarTrack announcement! Columbia College was selected to the Military Times’ Best for Vets: Colleges 2014 rank list. 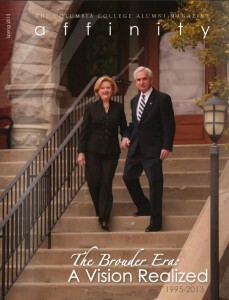 The distinction recognizes and rewards the college for its commitment to providing opportunities to America’s veterans. Dr. Brad Lookingbill’s book, “The American Military: A Narrative History,” was published by Wiley, which is the largest publisher for professional and scholarly societies, according to its website. 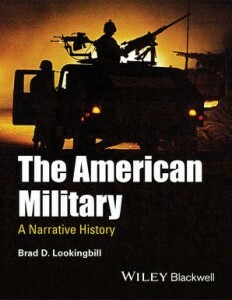 The book presents a comprehensive introduction to more than four centuries of American military history from clashes between militias and Native Americans to 21st-century operations in Afghanistan and Iraq.